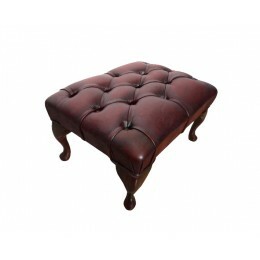 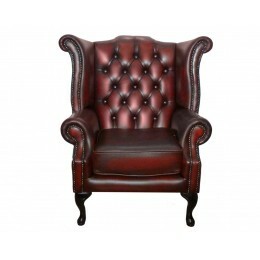 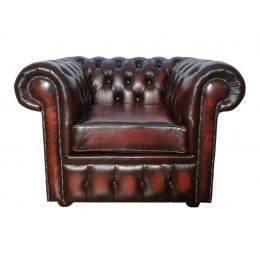 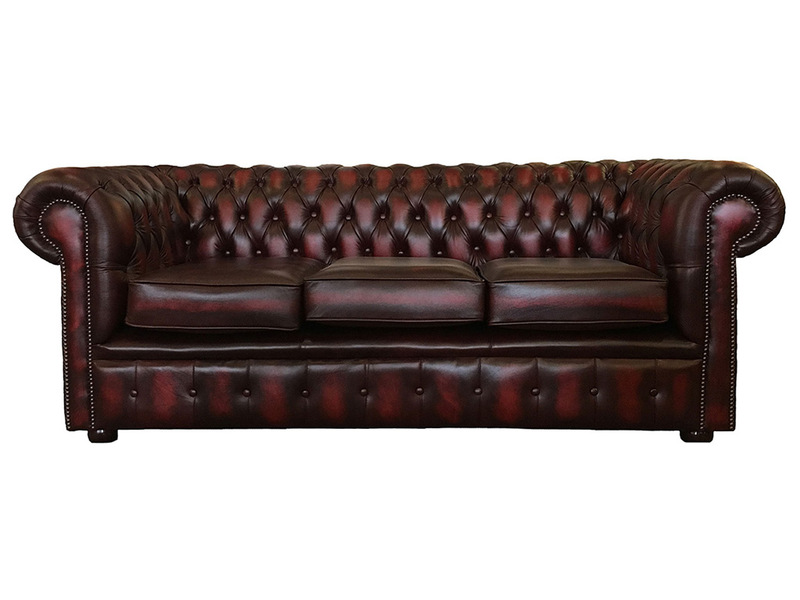 Our Finest antique oxblood red chesterfield 3 seater sofa bed, made from 100% genuine leather. 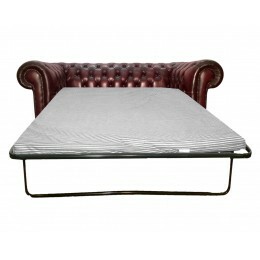 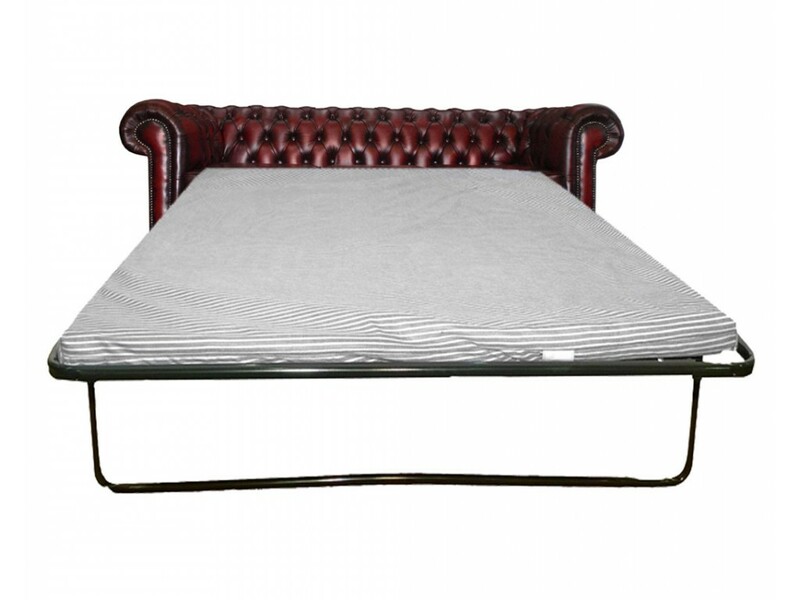 The chesterfield 3 seater sofa bed hangs onto its traditional British design, its low back, deep seat cushions and elegant curved arms with metal stud beading and mahogany feet adding that perfect finish. 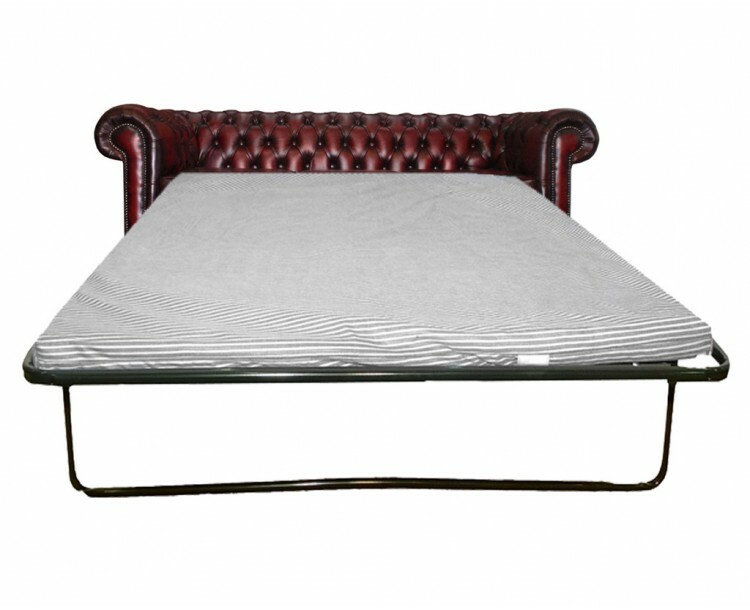 This elegant 3 seater sofa bed has a pullout metal frame bed which has a spacious 2inch thick foam mattress giving you years of comfort.